The title of the article really should read buying and selling a home simultaneously in a buyer’s market. In my daily life as a Massachusetts Realtor I come across lots of folks who do not sell their home even though they want to. The thought process is that they have bought sometime over the last five years or so and know if they put their home on the market they will be taking a loss. In the Metrowest Massachusetts area the peak of the Real Estate market was in the Spring of 2005 so if you purchased a home after that there is no question you will be taking a loss on that home if you sell today (September of 2010). In this area of Massachusetts depending on the town and the type of home, the peak in values could be down anywhere from 20%-30%. When people think about the concept of selling their home many can not get past the fact that they will take a loss on their current home. They fail to see the bigger Real Estate picture. If you are going to stay local, selling your home in a buyer’s market is not an issue because you are going to be purchasing a home under the same market conditions! Here is a simple Real Estate concept that many consumers do not grasp. You bought your home for $500,000 and using a figure of 20% it has dropped in value to $400,000. You have lost $100,000 on paper! This is where the thought process ends for many. People get so caught up thinking about their loss that they forget when you are moving up in the market what used to be an $700,000 home is now worth $560,000 using the same 20% drop in value. If values had remained flat and there wasn’t a Real Estate correction you would be going from a home valued at $500,000 up to a home worth $700,000. A difference of $200,000. 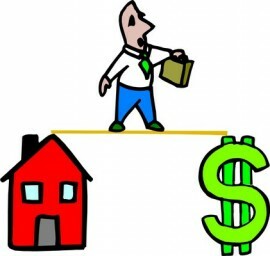 In the present buyers market scenario the difference is $400,000 to $560,000 or a spread of $160,000. If you are moving up you saved yourself $40,000. What if you are moving down in the market? Lets turn the above example around. You owned an $700,000 home that is now worth $560,000. It is too large for your needs and has become expensive to heat, maintain and pay taxes on. You desire something more manageable and affordable. So moving down isn’t ideal as moving up but a loss of $40,000 is certainly much different than taking a paper loss of $160,000 especially if it is going to make your payments and cost to maintain the home much more reasonable. The biggest differentiating factor in looking at whether or not it makes sense to move often times boils down to what you are trying to accomplish. Is it a lifestyle change, looking to get into better schools for the kids, having a shorter commuting time, etc. One of the biggest factors that should never be overlooked in your decision making process is the present cost of money compared to what you are paying right now. In other words what does the current interest rate environment look like. If you can get an even better interest rate than you currently have on your present home it could be the perfect time to find a new home. Pick a top producing Realtor to work with. Make your home presentable and easy to show. If you do these three things you can be successful in a buyer’s or seller’s market. There are plenty of Massachusetts homes still selling! The common denominator in most Real Estate sales are these three items. About the author: The above Real Estate information on selling a home in a buyer’s market was provided by Bill Gassett, a Nationally recognized leader in his field. Bill can be reached via email at billgassett@remaxexec.com or by phone at 508-435-5356. Bill has helped people move in and out of many Metrowest towns for the last 24+ Years. Lottie thanks for your compliments on my article about buying and selling a home in a buyer’s market. I hope you can put the information to good use. Best of luck with your seller client! What a great article Bill! It applies to many of the sellers in my market here in the Washington DC Metro area, who often get so wrapped up in what they are losing on paper they forget they also stand to gain in a move-up situation. I would love to share this article with my SOI if you don’t mind. Margaret thanks for your compliments on buying and selling a home in a buyer’s market! Please feel free to share the article. Excellent article, Bill! Though the figures may differ for my market here in the Dallas Metroplex, the formula and philosophy is exactly the same. I call it “Seller Ego”… seller wants top dollar for their present home BUT expect to steal the home they purchase. Helen thanks for your compliments on selling and buying a home in a buyer’s market. You are right that there will always be seller’s that want their cake and eat it too. I like your post here and recommendations that buyers should focus decisions on “present cost of money compared to what you are paying right now” and that buyers can get a fantatis mortgage rate. However, we expect that mortgage rates will eventually go up and that home values would also go up during those times, because it would be signs of improving local economy and more jobs for buyers. Harrison & Dori – Thanks for your compliments on buying and selling a home in a buyer’s market. 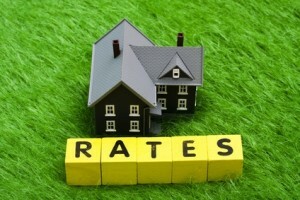 Interest rates should play a big role in making a decision on whether it makes sense to move or not. Thank you for an excellent article. I co-write a monthly newsletter for the Miami market and would like to use your article. May I have your permission? As you know, the numbers are even more dramatic in Florida, so it makes a good case for selling, taking a loss and being able to move up or down, while interest rates are so low. We have several prospects who continue to postpone the decision to list their homes waiting for the market to rebound. This is a very good analysis! Hi Sara – I would be fine with you using the article as long as I am given full credit for it. Hey Bill! Good common sense article. Seller’s need to think a little further to make a good deciscion. Great article. It’s hard not to let the emotions of real estate transactions cloud rationality, but you give strong evidentiary examples as to how to avoid that! I might be a little biased here (being a mortgage loan originator and all) but I think it’s also important for buyers and sellers to talk to a loan officer about their available financing opportunities. You wouldn’t believe how many homes in the MA area qualify for 100% financing through the USDA rural housing program, and buyers/sellers should know about this! GREAT article on selling a home in a buyer’s market! Thanks for sharing! You put in words exactly what we tell our sellers. Most sellers are so hung up on paper loss and don’t realize that they will make it up on the buying side. Waiting until the market turns around is very unrealistic for most sellers. Thanks for sharing! a Realtor friend of mine forwarded me your article and she is in Minneapolis!! You’re all over the place my man! good work….the article too. Thanks Ryan! One of my passions besides Real Estate is search engine optimization. It comes in handy being able to have all my Real Estate articles on the 1st page of Google. My clients also enjoy seeing their home marketed everywhere online! Always great points ! It is so important to stress the benefits of taking advantage of the step-up which can help folks that that loss and move forward with their goals instead of being frozen. Bill, I just explained this concept the other day to two prospective clients. As always, very well stated… you are a wealth of knowledge. I very much enjoy reading your blog and learning from such an experienced agent. Hope all is well.